Toddler Activities; looking for activities for toddlers? Here we give you tons of great toddler learning activities that will also cultivate your child’s love of nature. From a natural parenting perspective there are a couple key considerations with regard to toddler activities. 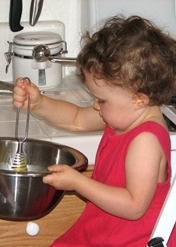 Equally important are the TYPE of toddler learning activities and WHERE they take place. There are so many natural activities for toddlers to enjoy; that allow them to explore their world at the same time their brains and coordination develop optimally. 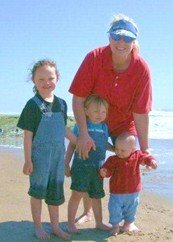 Going with natural activities for toddlers is important because some of the newer, electronic activities such as watching TV and playing electronic games can actually impair brain development at the same time the make it harder for your child to calm down and interact thoughtfully with their surroundings. Many over-stimulated children are not able to sit down in a field of wildflowers to examine the flower petals and leaves in detail while they watch the different types of work being carried out by busy bugs. 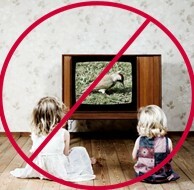 Another great article that was recently published (May 8, 2010) in Science Daily about the negative effects of television watching. So what should your child do to ensure optimal brain and coordination development? You will be happy to know that - as long as they aren’t exposed to television and electronic games - most of the things that toddlers are normally attracted to help them develop optimally. Funny how nature works, hmm? That’s the good news, the bad news is that many wonderful toddler activities are MESSY. You may find you need to just grit your teeth and let your toddler insert and then recover their toy from the mud puddle before they explore what the mud feels like on their face versus their tummy. The good news is that taking a bath should also be one of your child's favorite toddler activities too. Collect it – This is one of the best toddler learning activities. Here you give your toddler a basket and then go out for a walk somewhere where there are lots of interesting things to collect like rocks, shells, sticks, leaves and flowers. Depending on where you are – mountains, foothills, baylands, beach, lake, countryside, city - it can be a very different experience. After taking a nice stroll while your toddler explores and selects items for his or her basket find a nice spot to examine the contents of the basket. Use the contents to do one of the following activities, smell it, take it apart, sort it or where is it? As you can see, you can use the special things your toddler has collected either inside or outside. What’s under there? This is a simple toddler activity where you encourage your toddler to look under things. Great things to look under are rocks, plants, leaves (both on the ground and on plants). It helps your toddler realize that there is more around him than initially meets the eye. It also encourages him explore his world and to be curious. This is another one of our favorite toddler activities that can be done on its own or at the same time you are playing Collect It or What’s Under There. It is simple, find a bug and follow it. Watch where it goes. Does it join other bugs or do its work on its own. How many legs does it have? Is it collecting food? If so, does it eat it or take it somewhere? Great bugs to watch are ants, earwigs, pill bugs, grasshoppers & snails. This also gives you a great opportunity to teach your toddler to watch carefully, but not touch – because some bugs get frightened and may sting or bite. Take it apart - This is an all time favorite of the toddler learning activities. If left on their own, toddlers do this activity naturally. You can play Take It Apart after playing Collect It or go on a walk specifically where you find and take things apart as you go. Great things to collect and take apart include: seed pods, different types of flowers (alive and dead), leaves, dead bugs, bark and grass. 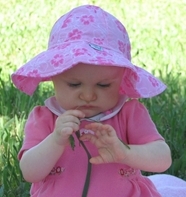 Smell it – One of our favorite toddler learning activities we smell flowers, leaves, herbs, you name it. This activity is not to be confused with Eat It – which you will notice we didn’t put on our outdoor activity list – Smell It encourages your toddler to use more than just eyesight. By smelling a variety of natural objects, she is exercising an often overlooked sense. What do different types of flowers smell like? How about leaves and different types of dirt? Smell it is fun to do at the grocery store or farmers market too. In the produce section smell lemons, oranges, apples, peaches and and fresh herbs. Climb it – Rocks, trees, logs, couch cushions, fences, you name it… they all qualify for climb it. Here you are capitalizing on every child’s desire to be “king of the mountain”. Toddlers love to climb on top of things. Encourage them to practice this outside. Provide them the minimal help possible, but help them to climb a little tree. Help them climb up on top of the rock. Help them climb up the rock wall at the play ground. Be there to protect them from falling. Help them find safe places to put their feet. Teach them that they need to be holding on at all times with at least one hand. If you don’t have good climbing trees at home, go to a local park. In the Garden – Often you can make adult chores fun toddler activities. This is a win-win because you can get something accomplished at the same time your toddler learns something and is entertained. Sifting Sand – toddlers love sand. They love the feel between their toes and they love to watch it fall, sifting between their fingers. A favorite sand activity is to combine sand with water to make a sand castles. Toddlers love to both build and smash sand castles. Sifting sand to clean it and see what was in it is another fun activity. Use a variety of sifters with different sized holes. Old kitchen colanders work well. 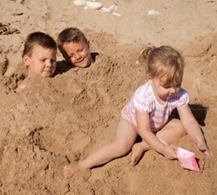 Building, smashing and sifting can be done at the beach or at home in a covered sandbox. Down at the Creek – Find a local creek, pack a picnic lunch and spend a few hours enjoying the creek. Great toddler activities at the creek include wading in the water, picking up rocks and other things in the creek, watching tadpoles and other small fish, looking for newts and lizards, throwing rocks into the water. For your trip, have your toddler wear cloths that can get wet, including shoes that can get wet and will protect his feet. If the creek has a sandy bottom, you can take the shoes off so he can explore without, but it is best to be prepared since most creeks have lots of rocks and other sharp objects that can hurt tender little feet. 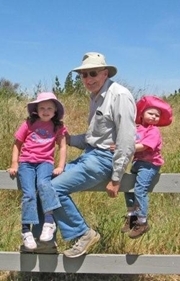 At the nature center – If you live near a lake, baylands or a national park go and visit the nature center. Toddlers will be fascinated by the displays and pictures inside the center. After learning what there is around to see, go for a little walk. Walk slowly, don’t carry your child. Let them toddle on the uneven ground on their own. It will help build their coordination. Go slowly so that your toddler has plenty of time to become interested in his or her surroundings as well as time to find things to pick up or otherwise examine. 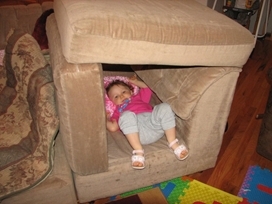 Toddlers learn best from doing and experimenting with their environment. Here are the materials we love to have our children play with along with our favorite indoor toddler activities. We prefer natural materials over plastics for playing. With natural materials you get natural textures and natural smells. Toddlers stick everything in their mouths and we don’t want them consuming the chemicals in plastics. You have to be careful about chemicals that have been applied to natural objects as well - so use some discretion here. Eat it – This is one of our favorite indoor toddlers activities. At a very young age, children like to explore tastes and textures. Capitalize on their desire to put everything in their mouth by making meals and snacks together. Our favorites are chopped salad (summer) or chopped vegetable soup. Mom or dad chops veggies and puts them into bowls. Little one gets to take handfuls or measuring cupfuls of veggies from the little bowls and transfer it to one bigger bowl where it will be tossed for the salad or mixed with broth for the soup. The best way to do this is quickly chop a few different veggies and put in the smaller bowls so that your toddler can see, taste, touch, examine, mash pieces while you finish chopping the rest of the ingredients you plan to use. What animal am I? - This is a great one for the whole family to play. Arrington’s kids love to play this game as they come in for dinner. Her two year old will crawl into the kitchen meowing loudly (quite a treat since she almost skipped crawling in her efforts to walk as quickly as possible). Her family’s favorite animals to pretend to be include: a frog, cow, dog, cat, monkey and elephant. Some they guess based only on facial expressions like a tongue flickering in and out indicating a snake or an arm in front if the nose to signify a trunk accompanied by elephant sounds. Others are whole body imitations. Stack It - How high can I stack the wooden blocks? Invest in a variety of natural wood blocks. You want to have big ones, small ones, rectangular ones, long ones, short ones, blocks of all sizes. At the start you will need to help your child stack them and build structures of to them. If you have older children it is unlikely that you will even need to do that. They will likely have contests all on their own to see who can build the tallest structure. Blocks are great to make little houses for dolls and can be used in conjunction with fabric to make all kinds of fun things. While many block sets targeted at toddlers are small, we have found that our toddlers like using big and small blocks, the more the better. Build It – Similar to stack it, this is both fun and another one of our favorite toddler activities. We like to use couch pillows to build forts. You will be amazed at what kids can make out of pillows, blankets, sheets and old boxes. After you finish with build it you can move right into hide-and-seek, were your toddler will hide repeatedly in their completed project. Watch it grow – sweet potato? Stick four toothpicks into the middle of a sweet potato to suspend it in the mouth of a wide mouth mason jar. Fill the mason jar with water and watch the potato grow. Your toddler can see the roots growing below the water as well as the green leaves growing above. This is a great activity for older children too. Bean Bag toss – Bean bags are softer and easier for toddlers to toss than balls. Balls have a tendency to roll away, which can encourage more movement to recover them, but can also be frustrating for a toddler that wants to concentrate of throwing. Practice tossing with both hands. Try tossing with feet! Try tossing from between the legs (down, set, hike style). Toss sideways, toss underhand, toss overhand. A variety is not only fun but it will encourage the development of gross motor skills. Puzzled – Introducing our child to puzzles as a young age is a great idea. Since toddlers are still developing gross motor skills, it is best to get wooden puzzles with knobs for them to grab. They don’t yet have the coordination to put smaller puzzle pieces together yet. Sort it – This is another one of those adult chores that you can make into a toddler activity at the same time. Get your toddler to help you sort laundry into lights and darks in preparation for washing. Or have your toddler help sort the cloth diaper wash into diapers, liners, and washcloth wipes. Natural objects that your child has collected playing Collect It are great things for her to sort. One of our favorite toddler activities, give her an old egg carton out of the recycling to sort small objects like seeds, small leaves and pebbles. Use waxed paper for larger items. You can even place a few prized leaves or flowers between two pieces of waxed paper and insert between pages of a book to flatten and dry. 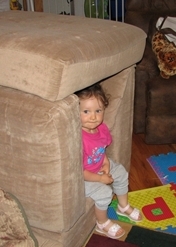 Hide and Seek – we almost don’t need to explain how to play this game, since this is one of the most popular activities for toddlers. What you do need to know is that when your child is young it is more about hiding behind a door and popping out to say “boo” than counting. As your child gets older you can also incorporate the counting piece, but at first start with encouraging her to find a place to hide before someone else finds her. Also encourage her to hide in things he builds playing Build It. Dance Dance – Once of our very favorite toddler activities is dancing. In Arrington’s house they put on all kinds of music and just dance. Everyone gets into it! Often babies that can’t even walk yet will pull up on something so that they can bounce up and down. They learn to wiggle their diaper bottoms very early on if you let them. Not only is this great for their coordination and gross motor skills, but it also teaches them rhythm. Arrington tells a funny story about her first daughter joining in with a group of dancing teens as a street fair. Not even two yet, the teens let her right into their circle where she charmed teens and onlookers alike with her moves – bottom bumping side to side as she bounced up and down with her little arms up in the air- spinning and laughing the whole while. In our hectic, industrialized world, we often forget that people have been dancing for as long as they could tap out a beat with their feet. Tell Us About Your Favorite Toddler Activities! Tell us about your favorite toddler activities! 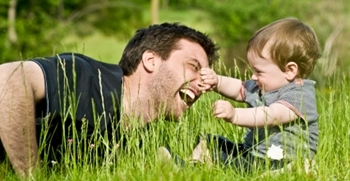 … or tell us a funny story about playing with your toddler. The best story or activity suggestion each month will be highlighted on our home page. Check out our Natural Parenting Forums. Share your thoughts and ask questions!